At Viklund Contracting Ltd, our goal is to always please the homeowners. 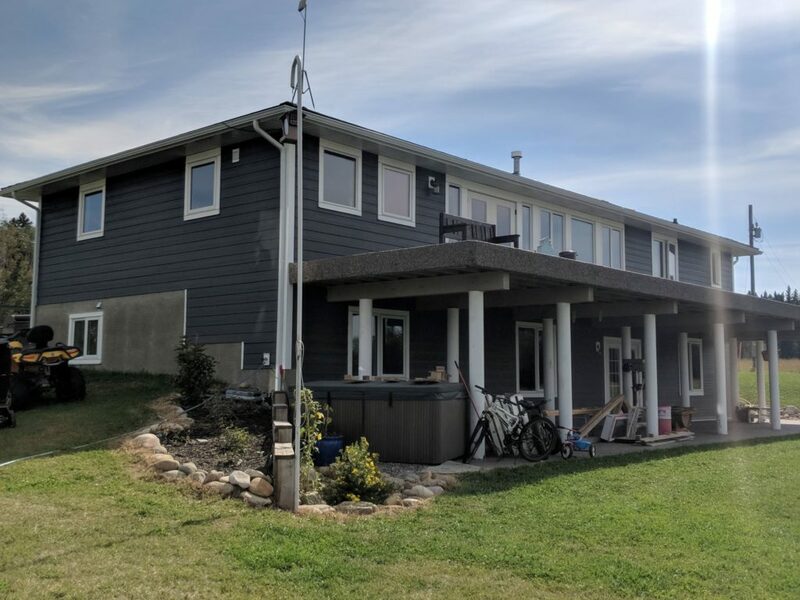 Whether that means changing out a Batton that wasn’t quite beefy enough, or washing the dust off newly installed James Hardie board or adding vertical board & batten siding to your front gable. Our goal is always the same, to help the homeowner fall in love with their home again. 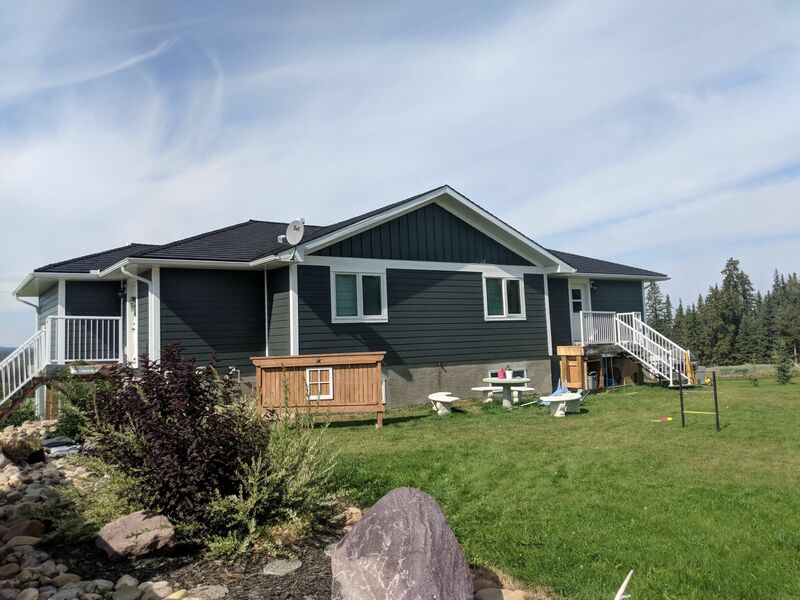 Every now and again, we also fall in love with a siding project we are working on. I don’t know how this happens. 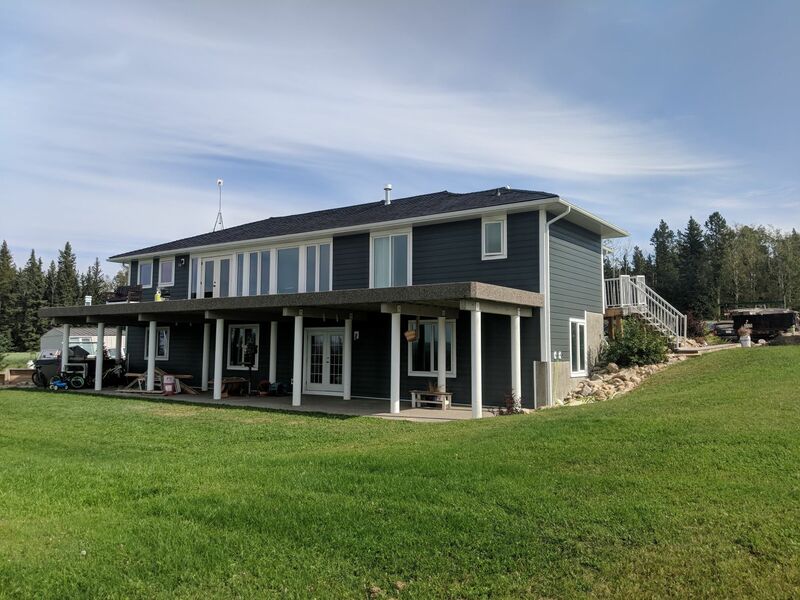 Maybe it’s the location…just a short 10 min drive from home, to a beautiful acreage just North of Water Valley, AB and West of Cremona, AB. The morning commute is amazing! I sip my coffee as we drive past the herd of resident deer on the quarter and slowly pull up to the job site. The ready to cut hay field sways gently in the breeze and I am again awe-struck by the majestic, snow-capped mountains rising to the West. Or maybe it’s the new James Hardie siding color the client picked. A stunning Iron Grey, perfectly suited for a hunting lodge or a gorgeous plantation home. The color reminds me of a thunder cloud. Those moments just before the rain hits….when you see the thunderous clouds furiously approaching. Just for a moment…..long tentacles of light caress the trees, adding a surreal glow to the landscape, as the sun fights to hold its ground. Breathtaking! But most likely, it’s the homeowners and their beautiful family we fell in love with on this job. The Whittle’s have to be the most down-to-earth and welcoming people you could ever meet! Must be that friendly Rural lifestyle shining through them. When we first met Mindy and Marshall they were clearly struggling through a hail damage insurance claim. The insurance company had sent over one of their “preferred contractors” to replace several hail damaged doors and windows. Mindy told us that she had to demand the insurance contractor come back four times in order to get her new door installed correctly! As you can image both Mindy and Marshall were experiencing what I like to call “contractor fatigue.” They were exhausted from dealing with a contractor that either didn’t know or didn’t care about their project. We understood where they were coming from. Most people assume that the “preferred contractor” the insurance company sends over, is the “Best Contractor.” However, that is not always the case. 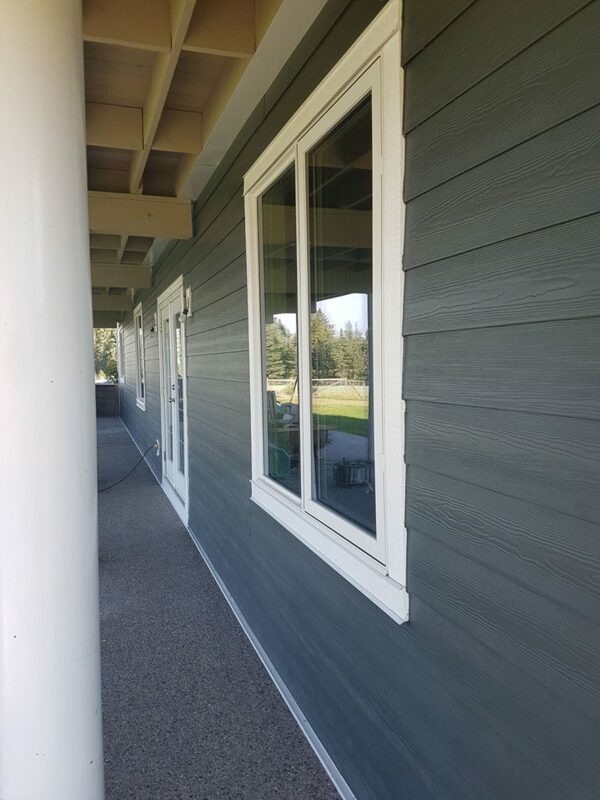 In order to qualify as a “preferred contractor” an Exterior Siding company or Seamless Gutter company must have a minimum of 10 crews at their disposal; that can be send out to any job in the insurance companies file. That means that small companies like ourselves, are out of the loop and do not qualify to become a “preferred contractor.” Trusting homeowners are left dealing with subcontractors that do not carry their own WCB coverage or liability insurance. In addition these subcontractors are often inexperienced installers or contractors that are using your home to learn on. As you can understand Mindy & Marshall were quite concerned about how well we would install their new James Hardie siding. We were not concerned; we knew the quality of our work and we knew we would be able to exceed their expectations! 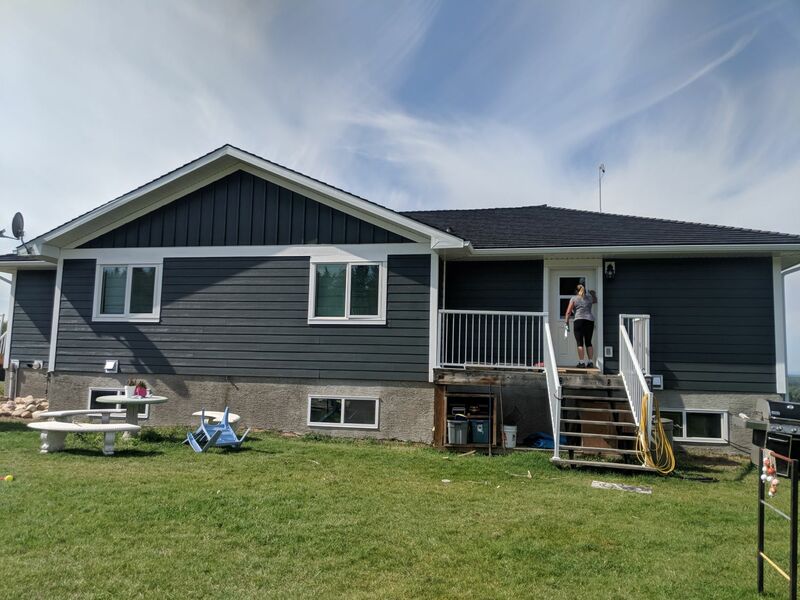 As a fully licenced exterior company, it is our job to install an up to code, professionally finished product on your home. Hopefully, respecting your time and your money; and going above & beyond when we can. Our Signature Move! We leave you with a professionally installed exterior, in Beautiful Showhome ready condition! 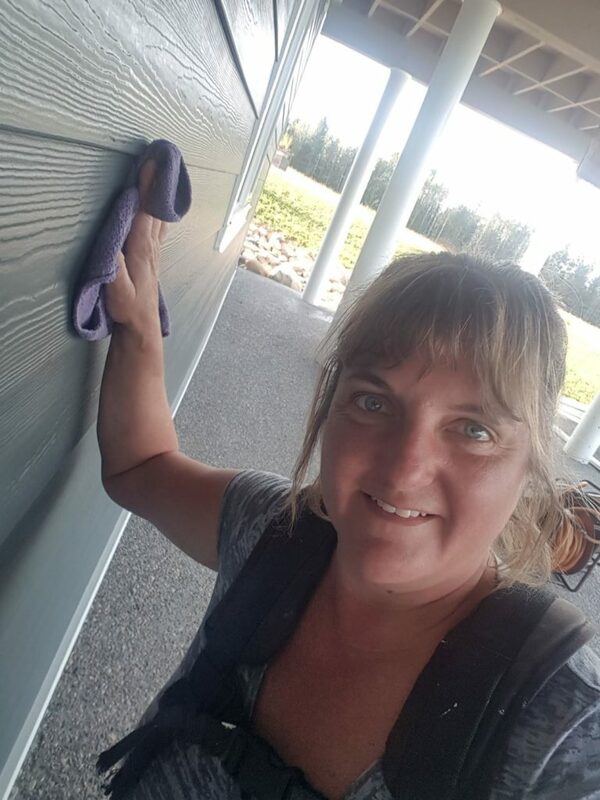 How many other Siding Installers will wash your walls and leave you with dust free siding? 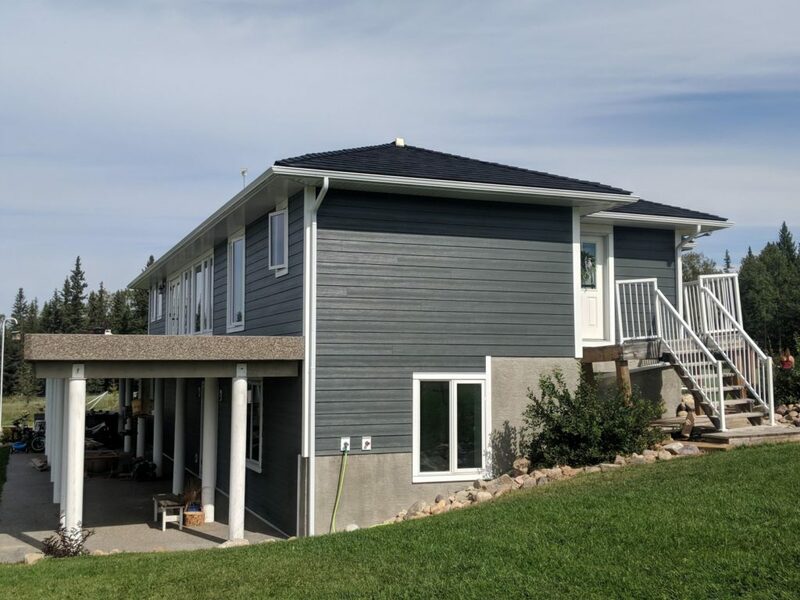 Whether you’re dealing with an insurance claim on the exterior of your home or simply looking to increase the value of you residence by installing new James Hardie cement board, premium vinyl siding or Seamless gutters on your home, give us a call. We may not fall under the definition of “Preferred” but…. Big or small we are the right team to call! Building a new Home in our area? Need to know what your exterior will cost to complete? Give us a call !! 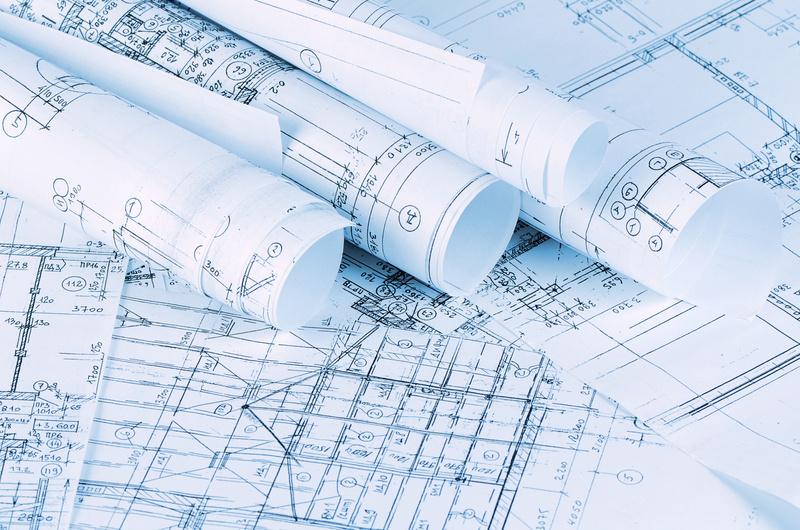 We can send you an estimate using your Blueprints or building plans. Get an Estimate before you go for construction financing. 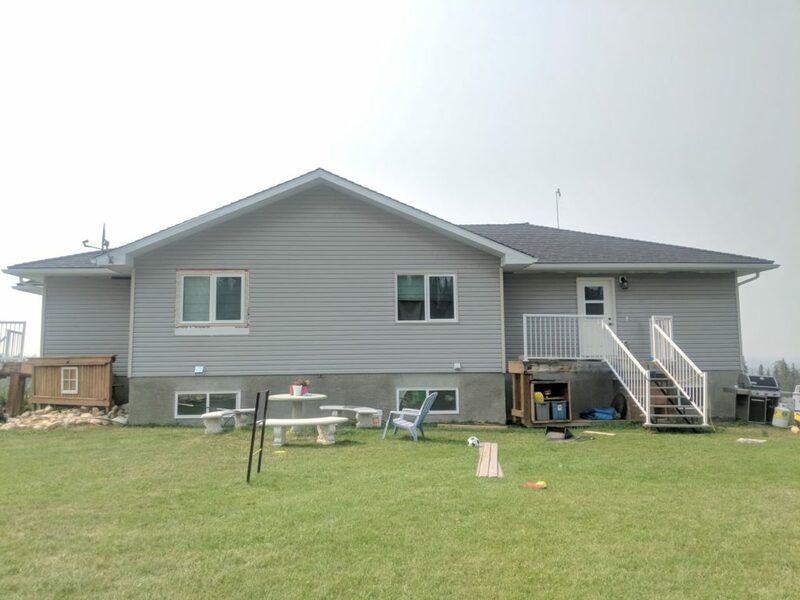 You are in good hands with Viklund Contracting Ltd. This entry was posted in blog, eavestrough, James Hardie Siding, Locations. Bookmark the permalink.